Sarah is a transformational life coach and people development expert with 25 years of business and leadership experience working in large corporate organisations. She specialises in working with smart, capable women who are feeling stuck, unfulfilled or confused about what they really want or how to get it. Sometimes they are clear about what they want to change but are struggling to find the confidence or focus to do anything about it. Sarah is totally dedicated to helping you change your life for the better! Sarah is also the founder of Empowered Journeys wellbeing workshops and events where participants experience a variety of activities for mental, physical, emotional and spiritual development. Past events have included combinations of creative visualisation, intention and goal setting, understanding and working with your personal values, therapeutic sound baths, mindfulness practice and vision board project sessions. In her coaching and group development work, Sarah draws on a range of different psychological and coaching frameworks including cognitive behavioural coaching, transactional analysis, person-centred theory, creative visualisation and mindfulness. Sarah is co-chair of an online mastermind group for qualified coaches where members support each other with coaching challenges, share learning and inspire each other to be more effective and successful in their coaching work. She is passionate about her own learning and development as a coach and is constantly researching and developing her knowledge in human behaviour, neuroscience and psychology. 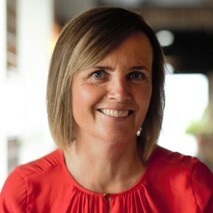 Sarah holds a Diploma in Personal Transformation Coaching, recognised by the International Coach Federation (ICF) and the Association for Coaching (AC) and is a chartered member of the Chartered Institute of Personnel and Development (CIPD). She is also qualified in mindfulness coaching (ICF) and is a certified Reiki practitioner (Reiki Academy London). Sarah is based in Hove and works with clients either face to face or via Skype. So, if you’re feeling stuck or unsure about how to move forward from a difficult place or maybe you know what you want to do but you just can’t seem to find the confidence or the focus to do it, Sarah can help. She offers a free 45-minute, no obligation coaching session where you will talk about what brings you to coaching. She can answer any questions you have and you can decide if you’re a good fit for each other before you agree to start working together. Currently Sarah is offering 15% off her 3 month coaching package to StressBusters card holders (giving you 6 x 1 hour sessions plus support in-between for £408).